With global hunger on the rise for the third year in a row, Farming First reports back from discussions around the future of farming at this year’s UN Committee on World Food Security (CFS) meeting in Rome. Despite huge advances in agriculture, the world’s farmers continue to face the double-edged challenge of feeding a growing population whilst also safeguarding natural resources. With just 12 years to avert disastrous global warming but with the world’s hungry now numbering 821 million, farmers need solutions that allow them to produce more with less. So what does the future of farming look like? A panel of experts from around the world discussed the ways in which new technologies and innovation could help farmers practice agroecology at a side event co-hosted by Farming First and the International Agri-Food Network. For crop farmers, this can mean harnessing the latest advances in biotechnology that have developed naturally pest-resistant varieties of crops like maize and cowpea. placing less pressure on the environment. at the whole agroecological system, recognising the inter-relationships and interdependencies while innovating for optimal performance,” Nancy added. “With innovation, we can allow it to not go down the same route as others have gone down in the past, and we can leapfrog with innovation,” explained Otmane Bennani-Smires, executive vice-president at phosphate company OCP. By understanding specific soil health needs in any given area, fertilizer use can be customised to ensure land is receiving the right nutrient source. “When you take a systemic approach that is science-based and data-based, and you’re in a position to manufacture the right type of fertilizer, it is lower [cost] to manufacture, it has bigger yields, it’s better for the environment because you’re providing the soil and crops with just the right nutrients needs, and it’s better for the farmers,” added Otmane. Helping farmers with access to better data and information about agricultural inputs can allow them to be more accurate and precise in their decision-making, which softens their environmental impact. Craige Mackenzie, an arable and dairy farmer from New Zealand, explained nutrient management on his farm was accurate to within just 2cm. “We spend a lot of time customising what we do but we realised we needed to start from the ground up,” Craige said. “Everything is mapped – we precisely know where to put the fertilizer, we can avoid waterways. Chris Noble of Noblehurst Farms highlighted further the opportunity to connect agricultural productivity with environmental stewardship through nutrients recycling. Noblehurst Farms uses an anaerobic digester to capture the methane from the manure and waste, producing electricity to power the farm. “The digester became the interface between the farm and the dairy processing facilities as we could combine and recycle the waste nutrients from both facilities,” Chris explained. Such innovative projects are increasingly being taken up by young farmers, who are both more aware of environmental concerns and more connected to advances in technologies. “Canadian advances in technology and best practices have enabled farmers to adopt conservation or no-till farming systems. This system involves little disturbance to the soil,” Rick explained. per cent fall in energy use. 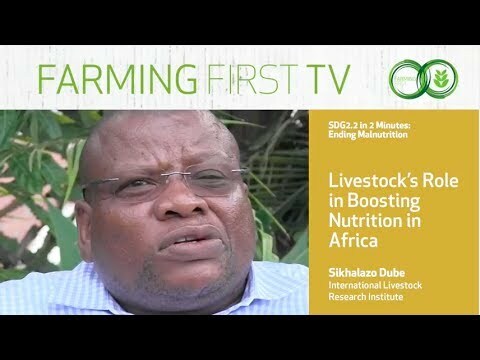 The full side event at CFS45 is available to playback on Farming First TV’s YouTube channel. For more information on agroecology, check out Farming First’s series, Agroecology in Action. As part of our agroecology in action series, Arianna Giuliodori, Secretary General of the World Farmers’ Organization talks to Farming First about how technologies and innovations should be made more widely available for farmers. Farming lies at the heart of many of the world’s most urgent challenges. The farming sector will therefore play a key role in defining the path for future sustainable solutions. Fall armyworm. Coffee borer. Tomato leaf miner. These pests threaten harvests and livelihoods daily. 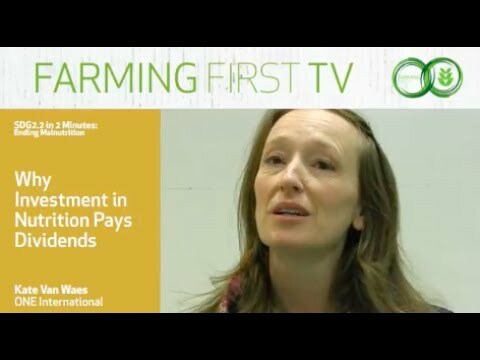 Claire Starkey, President of Fintrac tells Farming First how her team works with farmers to create maximum pest resistance with minimal environmental impact using Integrated Pest Management, the latest agroecological approach to be explored in our “Agroecology in Action” series produced ahead of the Second International Symposium on Agroecology held by the FAO in Rome from 3-5th April 2018. Agroecology is all about helping farmers to be good environmental stewards. At Fintrac, this is a core tenet of our work. Why? Because it is the ultimate triple win: for farmers, for consumers of the goods they produce and for the planet. We know we need to protect the earth for future generations. But farmers also need to act sustainably to protect their shorter-term profitability: if they do not look after the natural resources they rely on, they will not get the yields they need to earn a living and feed their families. Let’s say a family buys a cow. At first, the animal is producing plenty of milk. But over time, if the cow is not nourished properly, she produces less. The same analogy applies to crop production. When you first plant a seed, it may yield good results. But if you continue to reuse that same seed, it loses its effectiveness while also stripping the soil of essential nutrients, significantly reducing yields. That is why we focus so much attention on the transfer of good agricultural practices that protect vital water resources and build up soil health. In other words, farmers optimize agricultural outcomes – and incomes – by following agroecological approaches that keep ecosystems healthy. And in the last three years alone, Fintrac has supported local partners in putting 630,000 hectares of land into sustainable production across Africa, Asia, and Latin America. One of the biggest challenges facing the farmers we work with all over the world is the invasion of harmful pests. Notorious bugs like the fall armyworm right now in Africa, or the coffee borer in Latin America, show up season after season and threaten the food supply and livelihoods of vulnerable communities. To combat this, Fintrac prioritizes and facilitates training in integrated pest management (IPM) techniques. IPM practices allow farmers to achieve maximum disease and pest control with minimal environmental impact. It starts with prevention. Proper weeding and land preparation, along with planting natural live barriers, can go a long way to preventing pests from taking hold. Using pest- and disease-resistant seeds also sets farmers at an advantage. Once crops are planted, adequate crop nutrition and good water management practices help plants stay healthy. Regular health checks help detect any pest or disease infestation early. But what happens, when despite our best efforts, pests do take hold? The first port of call is proper identification of the problem. We work with a network of field technicians that visit farmers to diagnose the issue and offer advice on how to take action when crops are affected. Where possible, the next step is biological control, which can range from simple sticky traps to sophisticated microbial inoculants, which are referred to as “beneficial bacteria” that are developed from a crop’s natural enemies, such as bacteria, fungi and viruses. In Kenya, we worked with a local biologics company to train hundreds of vegetable farmers on the use of tuta traps to control a tomato leaf miner outbreak. These traps use a substance known as a pheromone to lure pests onto a sticky trap; a low-cost and safe method that helped farmers salvage what could have otherwise been a lost season. Through a partnership with a Malawian company, we are promoting the use of microbial inoculants to promote plant health and boost resistance to disease or infestation. Our partner has so far distributed these Nitrofix inoculants to thousands of farmers across Malawi. Unfortunately, in some cases, this is not sufficient. We then might need to use agrochemicals, which requires expanding the knowledge and capacity of both farmers and governments to handle them. We have helped public sector agencies to refine pesticide control measures for example, which not only protect human health and the environment, but ensure crops destined for the international market comply with standards such as minimum crop residue requirements. For farmers, training in safe use is essential, including guidelines for chemical selection, application, storage and disposal. In Honduras, farmers were trained on how to triple wash and perforate pesticide containers, which were then collected by safe disposal service teams. One of those farmer clients, Emiliano Dominiquez, who had been in danger of having his food and income source wiped out by aphids, instead saw crop yields increase six-fold as a result of integrating IPM into his on-farm practices. When the environment is healthy and productive, farmers can grow abundant food for their families and the global market. It is therefore essential we work to beat challenges such as pests and diseases with the most sustainable and sensible approaches we can to protect our planet. After all, it is the only one we have. Only healthy soils will be able to fulfil the Herculean task of growing the food our planet requires both now and in the future. In this guest post, Dr. J. Scott Angle, President and CEO of IFDC, discusses how the agroecological approach of Integrated Soil Fertility Management can build healthier soils and a healthier planet. This is the third installment of Farming First’s “Agroecology in Action” series, produced ahead of the Second International Symposium on Agroecology held by the FAO in Rome from 3-5th April 2018. In the late eighties, the water quality and aquatic life of the Chesapeake Bay were under threat. As human activity and farming in the region had increased, so had its impacts on the local environment. That is when a group of scientists, including myself, founded the Maryland Centre for Agroecology. Our mission then is how I would define agroecology now – creating a roadmap to help farmers be productive, while reducing their impact on the environment. In the case of Chesapeake Bay, this relied a great deal on encouraging farmers to only apply nutrients from the right source, in the right place, at the right time and the right rate (known as the 4Rs of nutrient stewardship). This results in less cost for the farmer, less runoff into the environment, and also allows the plant to use the nutrients that are applied more effectively. Planting cover crops to absorb nutrients before they reach the bay has also gone a long way to solving this challenge. Agroecology seeks to merge two visions of farming: one that seeks to grow the right quantity and quality of food, with one that protects natural resources. These two visions can, and should be balanced to create approaches that can deliver on both objectives. In Charles C. Mann’s bestselling book “The Wizard and the Prophet”, he personifies these two approaches as scientists Norman Borlaug, hailed as the man who saved a billion lives through his high yielding wheat variety, and William Vogt, the intellectual forefather of the environmental movement, who was fiercely cautious of using more than the environment had to give. Although the book was unable to reconcile the perspectives of these two men, it is not only possible, but essential that we as global community are able to. We need to produce more food for our growing population – that is an undisputed fact. We will have ten billion people on the planet by 2050, but no additional land or water. So it is agriculture’s job to harness approaches from the environmental community, such as organic or conservation farming that can be integrated into more traditional agriculture. A great example of this is Integrated Soil Fertility Management (ISFM), which relies on application of both organic and mineral fertilizer to achieve optimum soil health. Improving soil health so it can perform natural functions such as carbon capture and water retention is a cornerstone of agroecology. Organic fertilizer is incredibly important, as it is a natural source of nutrients and organic matter. Unfortunately, there is just not enough of it. To have enough manure to produce enough food for the growing population, we would need a great deal more animals on the planet, which have their own impact on the environment. Therefore, farmers should be encouraged to use all the organic matter that they can, and then supplement it with mineral fertilizers. This is Integrated Soil Fertility Management. Mineral fertilizer can be more precise in directing nutrients to the plant. Custom blends can be produced that address the exact soil deficiencies in the region. They can be coated, to ensure that the nutrient is released slowly over time, in a way that allows the plant to absorb it effectively. They can be compacted into briquettes and placed deep near the roots, which also improves its efficiency. Fertilizer is in fact responsible for 50 per cent of the food grown worldwide. In regions like Africa, where up to 60 per cent of soils are estimated to be degraded, it is possible to double, if not triple or quadruple yields through the judicious use of the right fertilizer. But it is not only the crop that can be harvested and eaten or sold that benefits. Crops that have been nourished adequately also have a much larger root system. These are made from carbon dioxide that was pulled out of the atmosphere by the plant, and then incorporated into the soil as soil organic matter. It can be argued, therefore, that the proper use of fertilizer can actually become a solution to the problem of excess greenhouse gases, as it helps us capture carbon out of the atmosphere and tie it up in the soil. When soil has more organic matter, it has greater water holding capacity, it can store more micronutrients and supress disease, but crucially it is able to hold carbon in the soil for tens of thousands of years that would otherwise exist in the atmosphere and contribute to climate change. It is very important to manage the application of these products appropriately. We would struggle to eliminate them completely, because we have to grow the food we need. The goal instead should be to use them in a way that maximizes their efficiency, which ISFM promotes. Other ISFM strategies include crop rotation, legume introduction, and crop-livestock integration systems. For Sunday Oyo, who has benefitted from our 2Scale project in Nigeria, the use of ISFM has unlocked much needed credit to expand his farming business. He gained access to hybrid seeds of tomato, and was educated on good agronomic practices such as trellising the tomatoes to avoid rotting. Thanks to a combination of fertilizers applied in the right quantities and in the right time and place, Sunday was able to quadruple his yields – a feat previously unthinkable. Sunday Ojo and his family show off their produce. Fertile and productive soils are vital components of stable societies, and ISFM strategies protect these. As one ancient Sanskrit text states, “Upon this handful of soil our survival depends. Husband it, and it will grow our food, our fuel and our shelter and surround us with beauty. Abuse it and the soil will collapse and die, taking humanity with it.” Our reliance on the soil is as strong today as it was then, and we need to adopt agroecological practices that will help us protect it for future generations that will rely on it too.